Ciba Vision brings you ultimate comfort and moisture with its Dailies Aquacomfort plus 30 pack contact lenses. They come with a special triple-action moisture technology which has been designed to provide a comfortable fit and aid in moisture retention. Do you know we blink almost 14,000 times a day? With each blink, the Dailies Aquacomfort plus 30 pack contact lenses can release moisture through their blink-activated moisture technology. Made of 31% nelfilcon A and 69% water content, these dailies are suitable for a comfortable wear throughout the day. The triple action technology brings you three special moisturising agents, which work together to provide exceptional comfort for up to 12 hours. The lenses contain lubricating, wetting and moisturising agents. 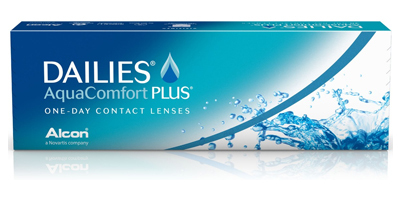 The lubricating agent provides comfort as soon as you insert your lenses in the morning. The wetting element ensures your eyes stay hydrated. The moisturising element rejuvenates your eyes every time you blink, throughout the day. 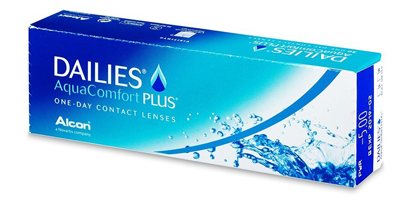 Get Dailies Aquacomfort plus 30 pack at pocket-friendly prices from Contact Lenses Express. 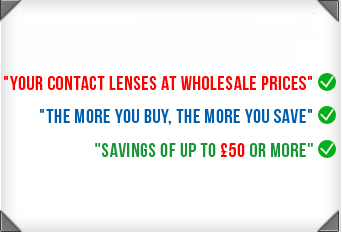 You can place your order easily; get instant savings and receive your lenses in super fast. 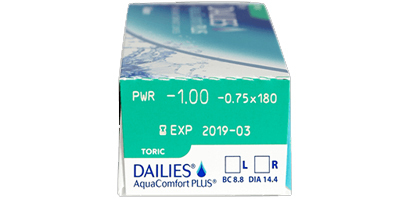 Treat your eyes to Dailies Aquacomfort plus 30 pack today!